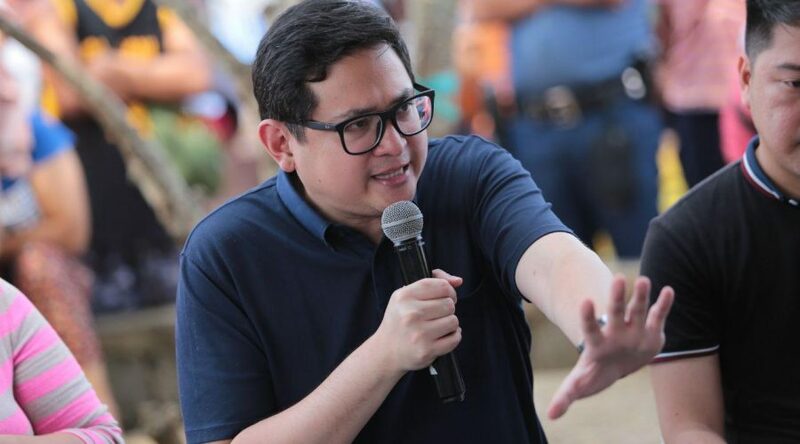 Sen. Bam Aquino stands by his “No” vote on the Tax Reform for Acceleration and Inclusion (TRAIN) Law, continuing to push for the repeal of the excise tax on fuel for the benefit of drivers of public utility vehicles (PUVs) and commuters. “Hindi sapat ang suspension. Lubusin na natin ang pagtanggal ng excise tax sa petrolyo ng TRAIN Law. 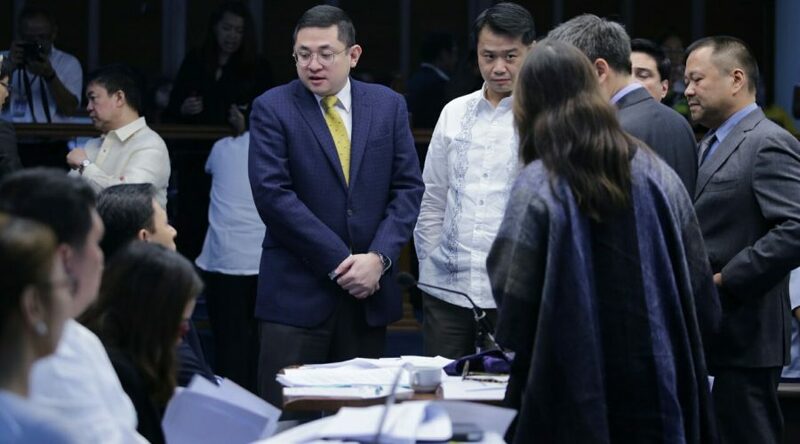 Nalulunod na sa taas presyo ang mga Pilipino, lalo na ang mga driver ng mga jeep, tricycle at iba pang PUV,” said Sen. Bam, one of four senators who voted against the ratification of TRAIN Law. “Kung tatanggalin ang excise tax sa petrolyo sa TRAIN Law, hanggang P87 kada araw ang dagdag sa kita ng ating mga jeepney driver,” added Sen. Bam. 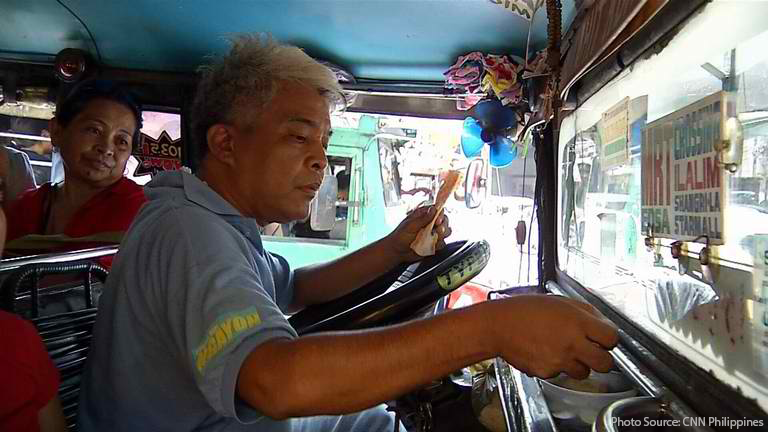 The added income is enough for PUV drivers to buy two kilos of rice per day for their families, Sen. Bam pointed out. Since May 2018, Sen. Bam has been pushing for the suspension and rollback of excise tax on fuel under the TRAIN Law through his Senate Bill No. 1798 or the Bawas Presyo sa Petrolyo Bill. 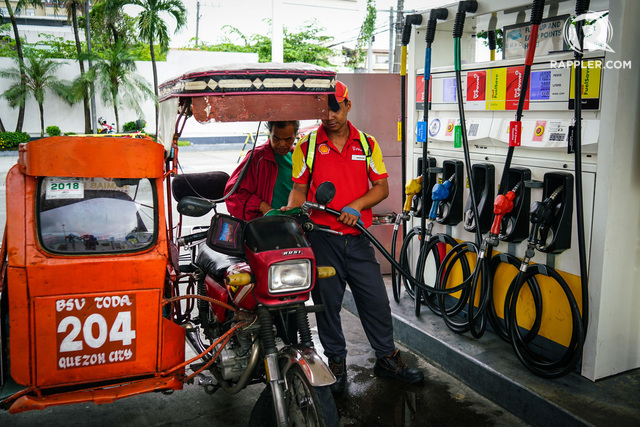 The measure aims to suspend the collection of excise tax on fuel once inflation rate breaches the annual inflation target over a three-month period. In addition, the bill also seeks to roll back the excise tax on petroleum products to December 31, 2017 levels or before the TRAIN Law was implemented. Sen. Bam also joined other minority senators — Minority Floor Leader Franklin Drilon and Sens. Francis Pangilinan, Risa Hontiveros, Antonio Trillanes and Leila de Lima – in filing Senate Joint Resolution No. 15, which seeks to suspend the excise tax under the TRAIN Law and mandate the rollback of levy on fuel to December 31, 2017 rates. The government’s plan to remove the excise tax on petroleum products in January 2019 is a win for Filipinos and an indication of the importance of having an independent voice in government, according to Sen. Bam Aquino. “Panalo ang pamilyang Pilipino sa pagsuspindi ng dagdag buwis sa gasolina, diesel at iba pang produktong petrolyo sa Enero,” said Sen. Bam, who has been pushing for the suspension of excise tax since May 2018. “Patunay din ito sa halaga ng pagkakaroon ng magkakaibang boses sa gobyerno – pati na ang minorya o oposisyon. Mahalagang pakinggan ang iba’t ibang panig na mayroong solusyon sa problema ng bayan,” added Sen. Bam, referring to his call for suspension and rollback of the TRAIN Law despite the hardline defense of the administration’s economic managers. Sen. Bam stressed that there’s more to be done as he reiterated his push to rollback the excise tax on fuel under the Tax Reform for Acceleration and Inclusion (TRAIN) Law to December 31, 2017 rates. “Magandang unang hakbang ito. Pero kailangan nang aksyunan ang Step 2 – tuluyan na nating alisin ang buong excise tax sa petrolyo na pinataw ng TRAIN Law. Ipasa na ang Bawas Presyo sa Petrolyo Bill at joint resolusyon ng Minority Bloc,” stressed Sen. Bam, one of four senators who voted against the ratification of the government’s tax reform program. Sen. Bam’s measure also seeks to rollback the excise tax on petroleum products to December 31, 2017 levels or before the TRAIN Law was implemented. In addition, Sen. Bam and other minority senators — Minority Floor Leader Franklin Drilon and Sens. Francis Pangilinan, Risa Hontiveros, Antonio Trillanes and Leila de Lima — submitted Senate Joint Resolution No. 15 seeking to suspend the excise tax under the TRAIN Law and mandate the rollback of levy on fuel to December 31, 2017 rates. “Magtulungan na tayo’t magtrabaho para lutasin ang krisis sa presyo at bigyan ng ginhawa ang mga kababayan nating nalulunod sa gastos,” said Sen. Bam, who also delivered three privilege speeches on the negative effects of TRAIN Law and excise tax on fuel. The increase in self-rated poverty is yet another indication that the Senate should move on legislative action to address rising prices of food and other goods by suspending the excise tax on fuel under the Tax Reform for Acceleration and Inclusion (TRAIN) Law, according to Sen. Bam Aquino. “Kailangan na natin umaksyon. Solusyunan natin ang krisis sa presyo para tulungan ang mga naghihirap na pamilya,” said Sen. Bam, who has been pushing for the passage of the Bawas Presyo sa Petrolyo Bill in the Senate. In its third quarter survey, the Social Weather Stations (SWS) noted an increase in self-rated poverty in September to 52 percent or 12.2 million families. This is four points higher than the 48 percent or 11.1 million families in June 2018. Sen. Bam urged colleagues to support the minority’s Joint Senate Resolution No. 15, which aims to suspend the excise tax under the Tax Reform for Acceleration and Inclusion Law and rollback the tax on fuel to December 31, 2017 rates. “Huwag na nating antayin na ma-certify urgent ito. Umaksyon na po tayo nang kusa. Kung kailangang mag-special session tayo sa Senado habang may session break, gawin na po natin ito,” said Sen. Bam. Sen. Bam said a collective action of the Senate will send a clear message to Malacanang on the stand of the Upper Chamber to ease the burden of Filipinos, especially the poor, from the high prices of food and other goods. “This is a chance to show in word and in action that the Senate wishes to ease the burden of our countrymen and remove the excise tax on petroleum products,” stressed Sen. Bam. “Seventy four days na lang po, Pasko na! Ito na siguro ang pinakamagandang regalo na maibibigay natin sa pamilyang Pilipino,” said Sen. Bam. On Wednesday, minority senators – composed of Minority Floor Leader Franklin Drilon and Sens. Francis Pangilinan, Risa Hontiveros, Antonio Trillanes, Leila de Lima and Sen. Bam — submitted Senate Joint Resolution No. 15. In their joint resolution, the minority senators stressed the need for the urgent intervention of the Congress of the Philippines to mitigate the inflationary effects of rising fuel prices by suspending the increases in excise tax on fuel under RA No. 10963 or the Tax Reform for Acceleration and Inclusion (TRAIN) Law. For his part, Sen. Bam filed Senate Bill No. 1798 or the Bawas Presyo sa Petrolyo Bill as early as May 10, 2018, seeking to suspend the collection of excise tax on fuel once inflation rate breaches the annual inflation target over a three-month period. 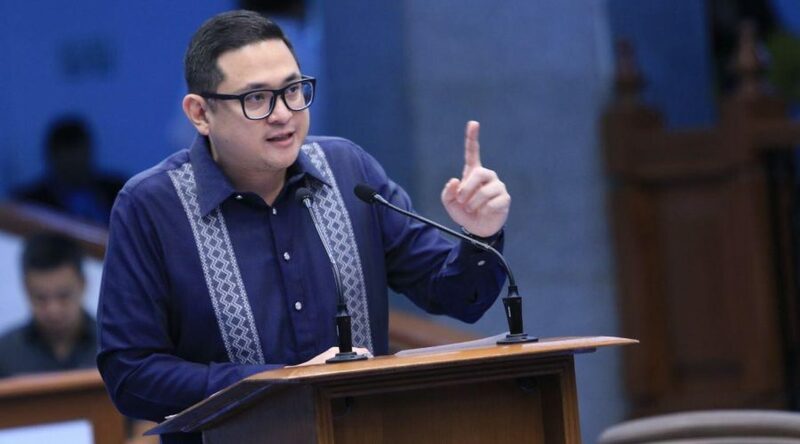 Sen. Bam Aquino emphasized that the government and the opposition should plot together to suspend the excise tax on gasoline and address the high prices of food and other products. “Instead of pointing fingers, let’s work together to suspend the additional tax on fuel scheduled for January 2019,” said Sen. Bam in reaction to Malacanang’s repeated claims that members of the LP are plotting to oust President Duterte. Instead of focusing on silencing the opposition, Sen. Bam insisted that the government should immediately address the problems at hand, such as high prices of food and rice and lack of job opportunities. “Hindi makakatulong sa mga Pilipino ang away at gulo. Magtulungan na lang tayo para arestuhin ang taas-presyo. Simulan natin sa pagsuspindi ng dagdag buwis sa petrolyo,” said Sen. Bam. Earlier, Sen. Bam called on the government to suspend the additional P2 excise tax on petroleum products in January 2019 if prices of oil in the global market remain at $80 per barrel in the next three months, as directed by a safeguard in the TRAIN Law. Sen. Bam is also pushing for the passage of Senate Bill No. 1798 or the Bawas Presyo Bill, which will suspend the collection of excise tax on fuel once inflation rate breaches the annual inflation target over a three-month period. Sen. Bam has passed a total of 27 laws, 10 as a member of the opposition. He helped the administration pass the landmark law making college education free in public universities and colleges. He is the principal sponsor of R.A. 10931 or the Universal Access to Quality Tertiary Education Act. Alarmed by the latest big-time oil price hike, Sen. Bam Aquino insists on implementing measures to suspend additional P2 excise tax on petroleum products scheduled for January 2019 under the Tax Reform for Acceleration and Inclusion (TRAIN) Law. “Kung pumatak o humigit sa $80 kada bariles ang global prices ng krudo sa susunod na tatlong buwan, nasa batas na dapat suspindihin ang pagtaas ng buwis sa Enero 2019,” said Sen. Bam. Sen. Bam was referring to a safeguard in the TRAIN Law where the excise tax on fuel will be suspended once the average Dubai crude oil price based on MOPS for 3 months prior to the scheduled increase reaches or exceeds $80 per barrel. Sen. Bam added that the price of oil increased $80.8 per barrel today (Oct. 2). “Bantayan po natin ang world prices at sumunod tayo sa nakasaad sa batas,” added Sen. Bam, who introduced the said measure of protection during deliberations on the TRAIN Law. Meanwhile, Sen. Bam expressed alarm over statements by Budget Sec. 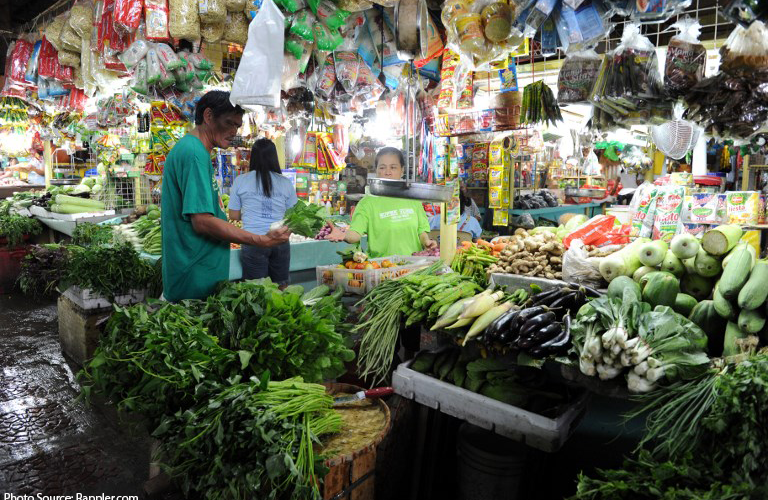 Ben Diokno downplaying the effects of inflation on high prices of goods, especially food. “Bigyan naman natin ng kaunting ginhawa ang mga kababayan nating nalulunod sa pagtaas ng presyo. Maghanap tayo ng paraan para arestuhin ang dagdag buwis sa petrolyo,” added Sen. Bam. Sen. Bam helped the administration pass the law making college education free in public universities and colleges. He is the principal sponsor of R.A. 10931 or the Universal Access to Quality Tertiary Education Act. Sen. Bam Aquino wants to ensure that poor Filipinos are priority in the distribution of NFA rice, following the government’s move to sell affordable rice in supermarkets. “Maganda ang hangarin ng pamahalaan na paramihin ang outlets ng bentahan ng NFA rice at isama ang mga supermarkets,” said Sen. Bam. 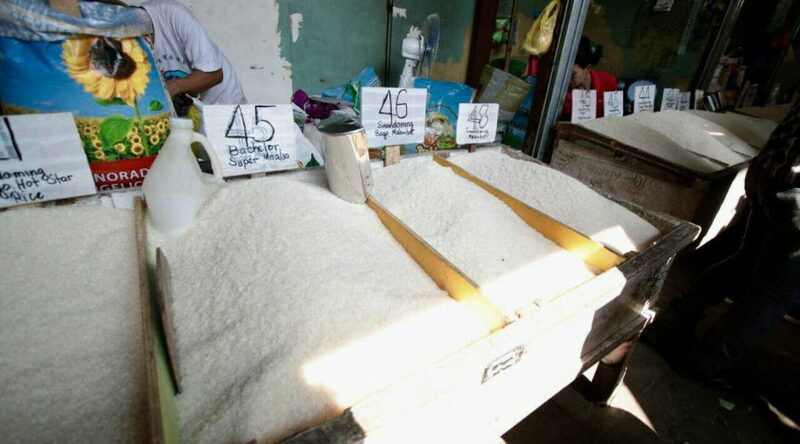 “Pero dahil limitado ang NFA rice at napakamahal pa ng commercial rice, mahalaga na matiyak na makikinabang ang pinakamahihirap nating kababayan na isa o dalawang beses na lang ang pagkain ng kanin kada-araw,” added Sen. Bam. Sen. Bam said the initiative will be for naught if the NFA rice will not be accessible to poor Filipinos who are already burdened by high prices of food and other goods. “Siguraduhin na mayroong murang bigas sa mga pangunahing pinagbibilhan ng mahihirap nating kababayan. Baka maubos ang pinagkakasyang pera sa pamasahe papunta sa mga supermarket,” stressed Sen. Bam, who is pushing for the full implementation the 10-percent discount on NFA rice under the Tax Reform for Acceleration and Inclusion (TRAIN) Law. Under the TRAIN Law, Sen. Bam said the government is mandated to provide poor families 10-percent discount when they purchase NFA rice from accredited retail stores, up to a maximum of 20 kilos per month. In addition, Sen. Bam is calling for the enactment of his Senate Bill No. 1798 or the Bawas Presyo Bill that will help ease the burden of poor Filipinos on high prices of food and other goods. Sen. Bam’s Bawas Presyo Bill aims to suspend the excise tax on fuel under the TRAIN Law when the average inflation rate surpasses the annual inflation target over a three-month period. Passing the measure is crucial as it will stop the second round of increase in excise tax on petroleum products under the TRAIN Law in January 2019, according to Sen. Bam. Aside from pushing for the enactment of the Bawas Presyo Bill, Sen. Bam also called on the government to fully implement other social mitigating measures under the TRAIN Law, such as the unconditional cash transfer program and the Pantawid Pasada Program. 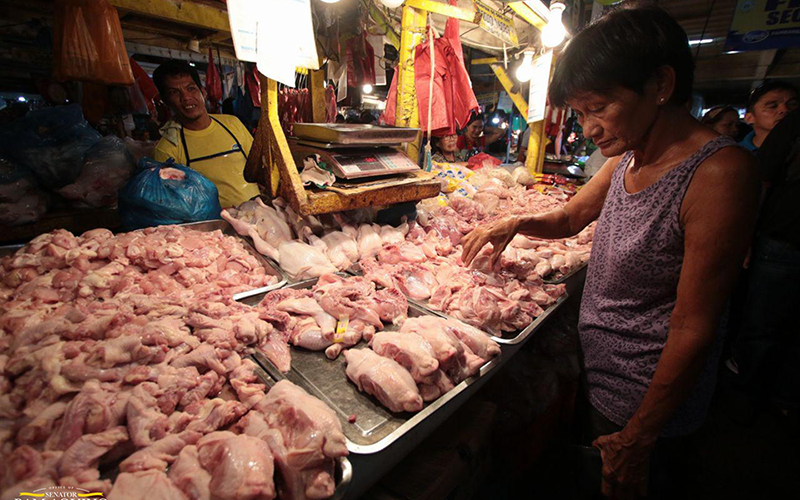 Rather than focus on persecuting the opposition and its critics, Sen. Bam Aquino said the government should address the high prices of food and other goods that burden poor Filipinos. “Tama na po ang panggigipit sa oposisyon. Taas-presyo ang tunay na kalaban,” said Sen. Bam, referring to the recent arrest of Sen. Antonio Trillanes. “Nakakaubos yan ng oras ng mga nasa gobyerno na dapat sana gumagawa ng paraan na tugunan ang malalaking problema ng bayan,” added Sen. Bam. Sen. Bam said the government should wield its power to solve the high prices of food by certifying as urgent his Senate Bill No. 1798 or the Bawas Presyo Bill. “Kung kaya ng gobyerno na ikulong si Sen. Trillanes, i-certify urgent ang end endo, bakit hindi nila i-suspend pagtaas ng buwis sa petrolyo?” asked Sen. Bam, adding that there will be another increase in the excise tax on petroleum products this January 2019. Passing the measure is crucial to stop the second round of increase in excise tax on fuel under the TRAIN Law. Aside from pushing for the enactment of the Bawas Presyo Bill, Sen. Bam also called on the government to fully implement other social mitigating measures under the TRAIN Law, such as the unconditional cash transfer program, Pantawid Pasada Program and the 10-percent discount on NFA Rice. “Huwag natin kalimutan ang taumbayan. Nalulunod na sila sa taas presyo habang nakatutok ang administrasyong Duterte sa away pulitika at pananahimik ng oposisyon,” Sen. Bam pointed out. Aside from relief and rehabilitation efforts, a senator called on the government to work together to mitigate the effects of Typhoon Ompong on the prices of goods in affected areas. “Patindi nang patindi ang pagsubok sa pamilyang Pilipino. Kailangan nating magkaisa upang solusyunan ang mga krisis ng bayan,” said Sen. Bam Aquino. “Tiyak na tataas pa ang presyo ng bigas at pagkain dahil sa pananalasa ni Ompong. Kailangang agapan ng pamahalaan bago humagupit ang taas-presyo sa mga apektadong lugar,” added Sen. Bam, who has been pushing for the passage of Senate Bill No. 1798 or the Bawas Presyo Bill. Sen. Bam said the recent typhoon affects supply of goods and may lead to spike in prices, placing additional burden on people who lost their homes and livelihood to Ompong. “Mahihirapan din pong makabangon agad ang mga kababayan nating nasalanta kung sila ay nalulunod sa mataas na presyo ng bilihin,” said Sen. Bam. Sen. Bam said the government should take additional steps to keep the prices of goods in check, in addition to the implementation of price freeze in areas that will be placed under state of calamity. “Maliban sa pagtiyak na naipatutupad ang price freeze sa mga lugar na sinalanta ng bagyo, dapat magkaroon din ng dagdag na pagkilos ang gobyerno para mapababa ang presyo ng bilihin,” added Sen. Bam. Furthermore, Sen. Bam said concerned government agencies must ensure that there is enough supply of agricultural products in different parts of the country as well after the onslaught of the typhoon. Sen. Bam has been working to lessen the effects of the Tax Reform for Acceleration and Inclusion (TRAIN) Law in the prices of goods and services. The senator filed Senate Bill No. 1798 or the Bawas Presyo Bill to suspend the excise tax on fuel under the TRAIN Law when the average inflation rate surpasses the annual inflation target over a three-month period. Sen. Bam stressed the need to enact his measure into law, saying it will stop the second round of increase in excise tax on petroleum products under the TRAIN Law in January 2019. “Imbis na magturuan, harapin natin ang krisis na nagpapahirap sa bayan,” said Sen. Bam during his privilege speech on the rising prices of goods and rice in the country. “Nasa kamay po ng administrasyon ang pagpapatupad ng mga programa ng gobyerno. Tutukan sana ng gabinete ng Presidente para mabigyan ng ginhawa ang pamilyang Pilipino,” added Sen. Bam, one of four senators who voted against the ratification of the Tax Reform for Acceleration and Inclusion (TRAIN) Law. Sen. Bam clarified that the opposition has been in talks not to overthrow the government, but to address the price and rice issues through “Oplan Ginhawa”. “Ang tunay na plano ng oposisyon ay magsama-sama, gawin ang lahat ng aming kayang gawin, ibigay ang lahat na kaya naming ibigay para hindi na po malunod sa gastos at hindi mamatay sa hirap at gutom ang ating mga kababayan,” said Sen. Bam. Under the “Oplan Ginhawa”, Sen. Bam gave three proposals to the administration to address the growing inflation and high prices of rice and ease the burden of the Filipino people, especially the poor. Sen. Bam also called on the government to replace incompetent NFA officials with people who can help fulfil the agency’s mandate, including the immediate return of the 15-day buffer stock. “Basta’t pagtulungan ng Kongreso — at certified urgent ng taumbayan at sana po ng Pangulo – kaya natin gawing batas ito bago mag-Pasko,” said Sen. Bam. “Tama na, sobra na ang pahirap sa taumbayan. Pagtulungan po natin ang Oplan Ginhawa. Pagtulungan natin ang mga solusyon sa krisis na ito,” Sen. Bam added. 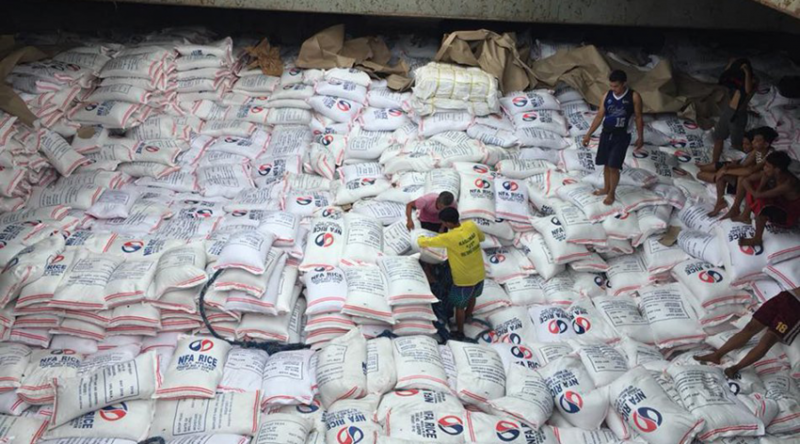 The National Food Authority (NFA) will have a chance to redeem itself by ensuring the sufficient supply of rice in areas that are expected to be hit by typhoon Ompong, according to Sen. Bam Aquino. “Tiyakin ang kaligtasan ng ating mga kababayan at siguruhing hindi magugutom ang mga nasalanta,” said Sen. Bam. “Dapat nang bumawi ng NFA sa kapalpakan ng kanilang administrador. This is an opportunity for NFA to step up in serving our countrymen,” added Sen. Bam, referring to the blunders of NFA administrator Jason Aquino that affected the supply of affordable rice in the market. President Duterte is looking for Jason Aquino’s replacement after he asked to be relieved from his post. Sen. Bam said the NFA must ensure that there is enough stock of rice in warehouses located in areas that will be affected by the typhoon. “Gamitin ang teknolohiya at mga harvester para tulungan ang mga magsasaka. Buksan ang mga warehouse sa mga magsasakang kailangang protektahan ang kanilang ani,” said Sen. Bam. Super typhoon Mangkhut, which will be known as Ompong when it enters the Philippine Area of Responsibility, is expected to pack 200 to 220 kilometers per hour of wind. It is expected to pass through Cagayan province, Batanes and Babuyan Group of Islands before heading to Taiwan. On Monday, Sen. Bam delivered a sponsorship speech for Senate Bill No. 1211 or the Philippine Space Act as chairman of the Committee on Science and Technology. Sen. Bam said the measure, if enacted into law, can strengthen the country’s mitigation and response to natural calamities and disasters. The measure is aimed at beefing up existing government programs on disaster prevention, including the National Disaster Risk Reduction and Management Council’s disaster risk management, PAGASA’s astronomical science programs and National Mapping & Resource Information Agency’s satellite information gathering.